In India, affordable always sells. It’s no surprise then that Xiaomi leads the wearables market here, with a massive 46 percent share of the pie as of Q2 2018. 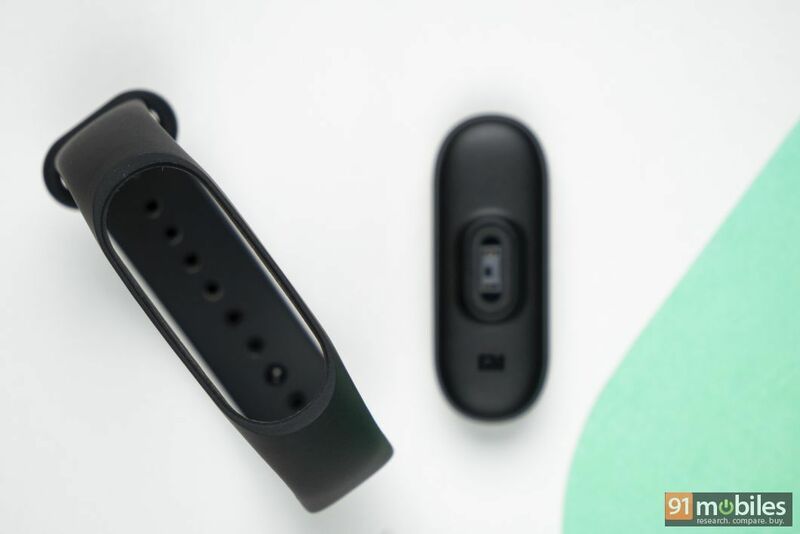 The company launched the Mi Band 2 (review) in the country in 2016, and now, over two years later, is bringing its successor, the Mi Band 3 to the market. The new wearable brings in some key upgrades over its predecessor, and despite its slightly higher price tag, continues to be one of the best VFM fitness trackers you can currently buy. 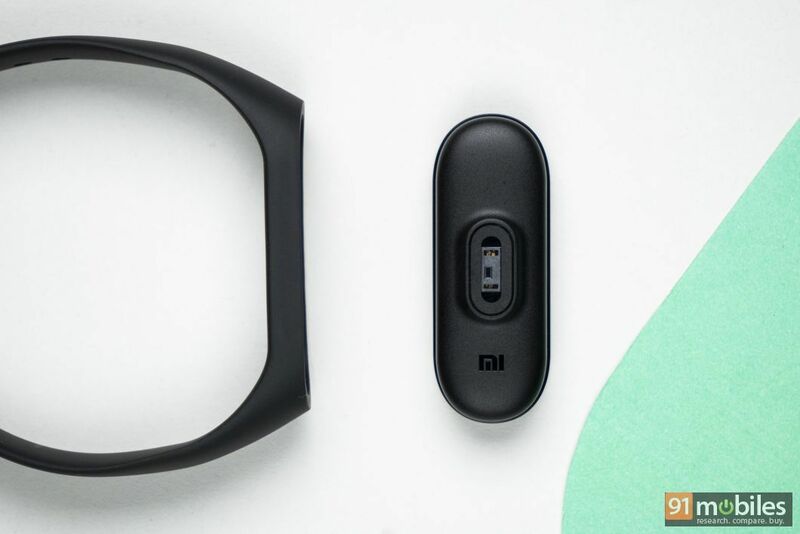 The Mi Band 3 is pretty similar to the Mi Band 2 in terms of design, with an interchangeable elastomer strap and a core that can be popped out for charging. This time around, the core doesn’t sit flush with the band, and features a glossy, curved glass design that looks quite stylish. The core features an OLED display which is bigger than the one on its predecessor, measuring 0.78-inches (vs 0.42-inches earlier). Unlike the Mi Band 2, the display on the Mi Band 3 is touch sensitive, and can respond to taps, vertical and horizontal swipes. The metal back button which was present on the Mi Band 2 has been replaced by a slight indentation on the surface of the core. 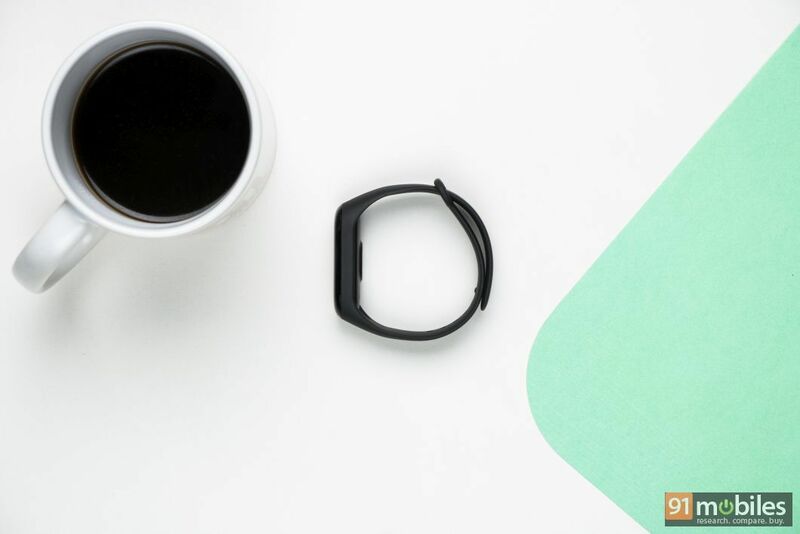 The band is waterproof like its predecessor, but gets an upgrade in this department with a 5ATM rating, which means it can be submerged in up to 50 metres of water, compared to 1.5 metres on the Mi Band 2. The glass also features an anti-fingerprint coating, which actually does a good job of keeping smudges at bay. The Mi Band 3 is super comfortable to wear, thanks to the smooth strap and lightweight design. I barely noticed it even while sleeping, which is a good thing considering its sleep-monitoring abilities. The Mi Band 3’s larger display allows it to show a lot more content on the screen. The display automatically lights up when you lift your wrist towards your face, but there is a short delay in this action that can be annoying, especially when you want to quickly check the time. The screen also has poor sunlight legibility. The homescreen shows you the time and date by default, and swiping down on the display will bring up displays for your step count, heart rate, weather, exercise mode and notifications. You can change the order of the displays in the Mi Fit companion app. 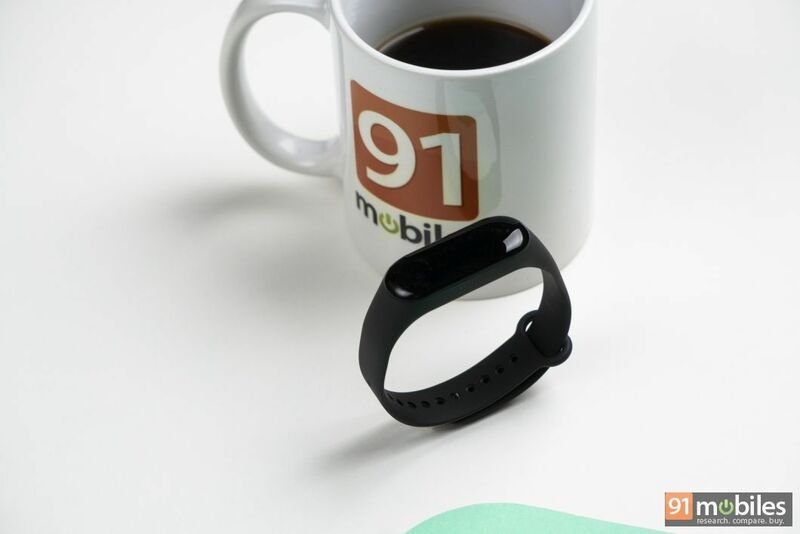 Unlike the Mi Band 2, which displayed only the notification icon of an app owing to the small display size, the Mi Band 3 displays text from notifications for WhatsApp, Facebook, Instagram, Twitter and more. Of course, the band also vibrates to notify you of incoming calls and notifications. 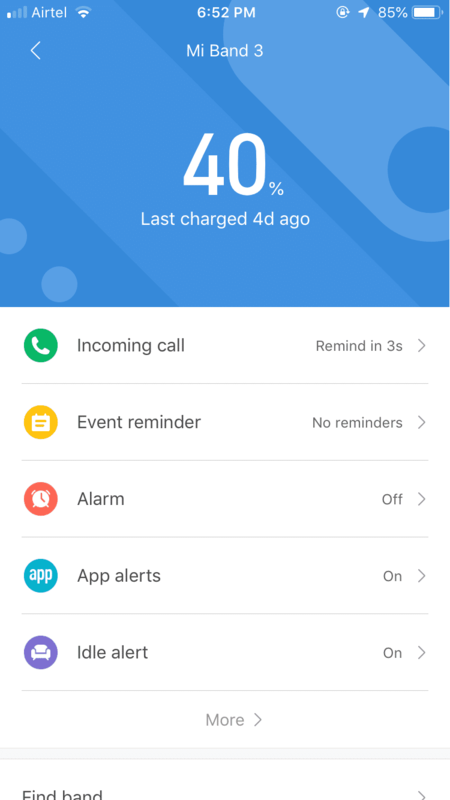 You can customise app alerts from the app, as well as set up alarms, idle alerts, reminders, goal notifications and more. The app also lets you set up scheduled Do Not Disturb timings, as well as a night mode which reduces the display brightness during a specified time. With the Mi Band 3, you can either manually check your heart rate, or set up passive monitoring with the sleep assistant or 24-hour heart rate monitoring. The band can also notify you if your heart rate spikes above the permissible limit while exercising, which is useful. It’s worth noting that enabling these features will reduce battery life significantly, which is otherwise rated at 20 days. 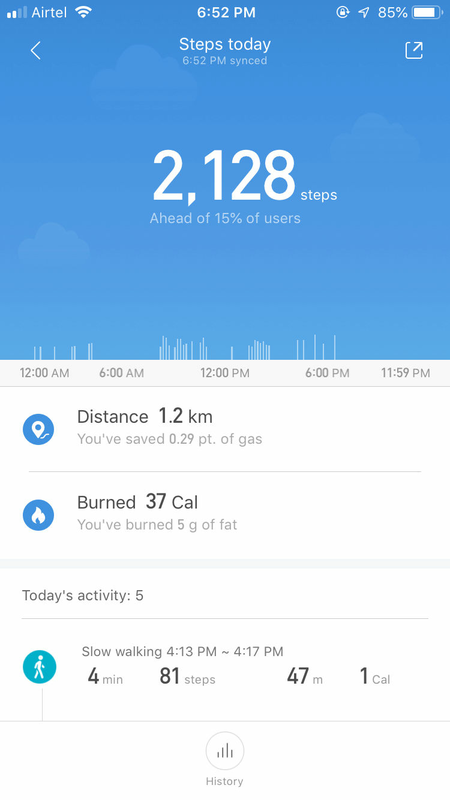 While the Mi Band 3 will display your step count, you can check more details on the Mi Fit app like distance, calories and activity intensity. Here, you’ll also find stats of your activity over the last 30 days, your daily average and your maximum and minimum steps. The sleep monitoring is basic, showing you periods of deep and light sleep as well as awake time. Unfortunately, there’s still no way to track sleep during the day since the band monitors the sleep automatically. 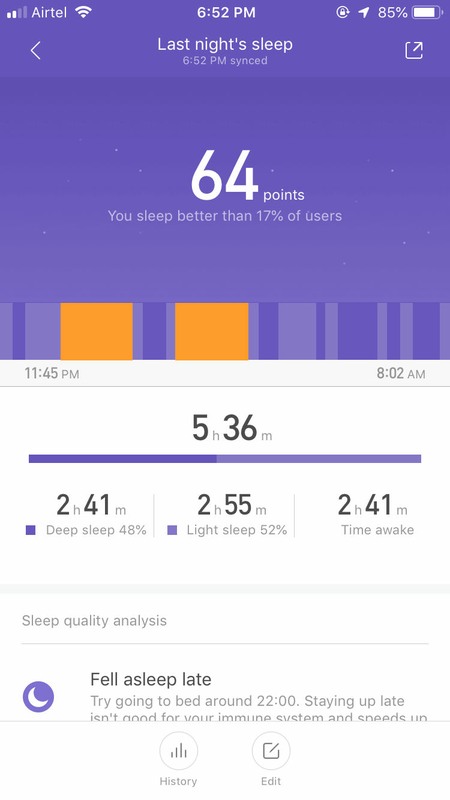 The app also provides sleep analysis, telling you how you slept as compared to previous nights, as well as how your sleep compared to similar users. The app also gives you the option to start activities like outdoor running, outdoor cycling, walking and treadmill. 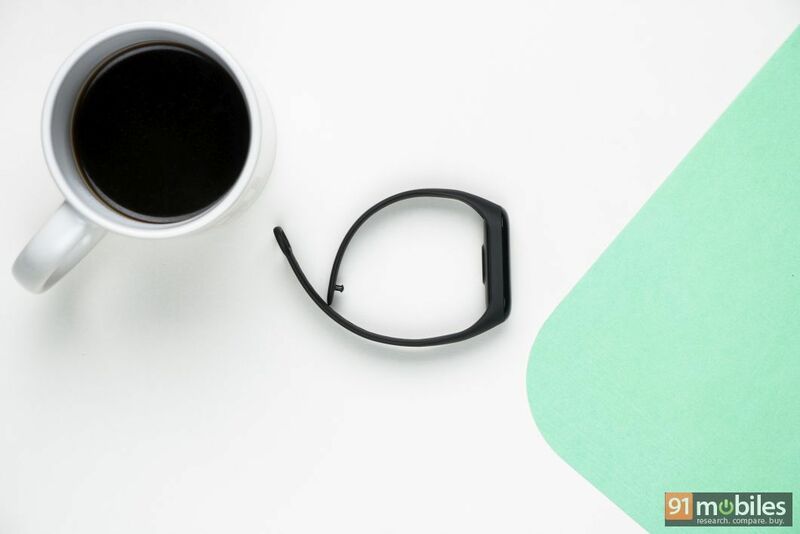 It’s quite cumbersome to do this, since you have to start and end these activities from the app, and carry your phone along with you if you want to track the activities via GPS. 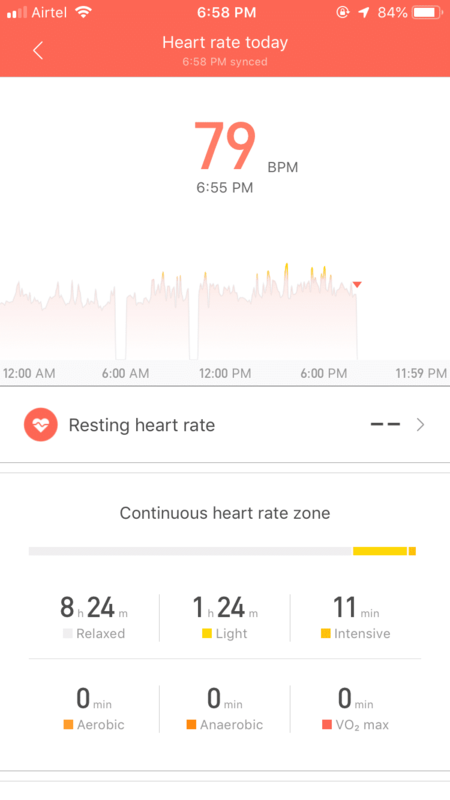 The Mi Band 3 continues to monitor distance, calories and heart rate during the activity, and all the resulting data is displayed in this section. There were a few complaints about this feature since activities could not be started from the band itself. 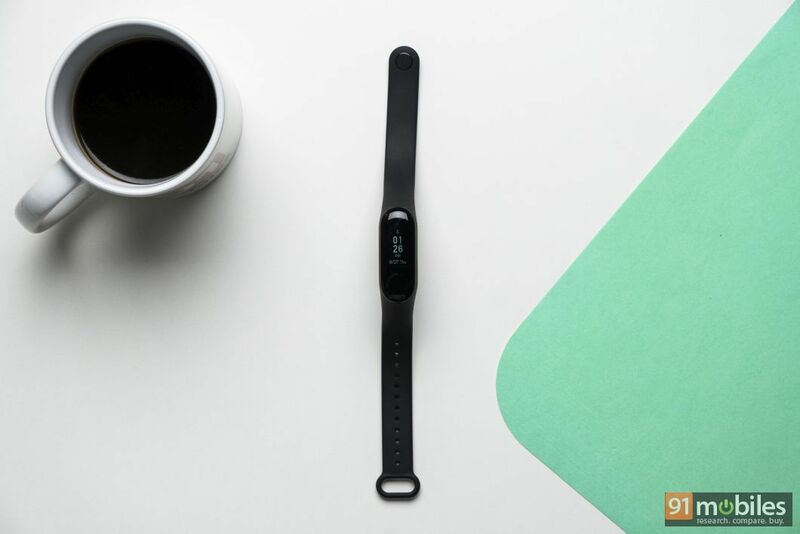 To rectify this, Xiaomi recently rolled out a firmware update for the Mi Band 3 with an option called ‘Exercise’ – this can be started directly from the band, but it’s very basic, and only monitors time, calories and heart rate, with no option to tag the activity either. With the Mi Band 3, Xiaomi has proved once again that it makes the best affordable fitness trackers. While the band is still pretty basic, it has all the features an average user would want – pedometer, sleep tracking, heart rate and notifications – at a price that’s light on the pocket. The competition includes the likes of the GOQii Vital, Amazfit Cor, Garmin Vivofit 4 and Smartron tband, but for a lot of users, Xiaomi’s Mi Bands are a tried-and-tested product, and the one they’re most likely to invest in.